Remember when Valve delayed Steam Machines right outta 2014? The Dota doters are not ones to ignore user feedback, and the first set of lounge PC playtesters apparently gave them plenty to think about. The open console and its controller will be well-tweaked by March 2, however, when Valve plan to steal the show at GDC. 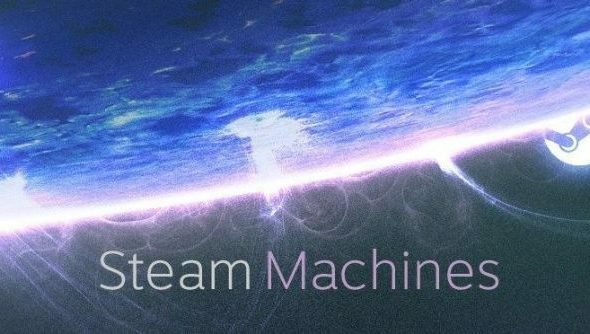 “We’re planning a very large presence at GDC with Steam Machines being front and center,” a Valve rep told Game Informer. The company first showed an early set of third-party Steam Machines at CES last year – a bunch of oddly-shaped boxes that have so far yielded only the Alienware Alpha, a Windows equivalent for those who simply can’t stand the wait. We were promised the Steam Controller would get “a lot better” for the delay, and it’s certainly changed quite a bit – growing an analog stick and a d-pad. A few days ago we learned that Steam Dev Days wouldn’t be repeated this year – a rare case of the games industry failing to capitalise on an opportunity for annualisation. Instead, Valve are planning a “larger than usual presence” at GDC. And now, we suppose, we know why. What shape would you like your Steam Machine to be? I like my hardware oblong and precarious.